Available capacity and footprint has never been more important in the market. A data center provider’s best prospect is often their existing customer base. Although timing to find or build new data center facilities is improving, it’s still a rather long process. One of the immediate benefits of acquiring a data center operator is the access to their facilities and customers in new markets. A good example of expansion by acquisition is TierPoint, who has grown from operating seven data centers to over 38 in just over a year. Furthermore, on August 22nd, T5 Data Centers announced the purchase of an existing facility with an anchor tenant in Chicago, providing an immediate opportunity to begin marketing their services. Data center acquisition has become a much more common practice in the data center industry. Mike Foust, a founder and former ten year CEO of Digital Realty, is part of the Digital Bridge team that acquired DataBank. Foust was a driving force in the creation of Digital Realty as a publicly traded data center REIT, and helped expand the company to its current size during his tenure. Foust’s experience and expertise will be a valuable asset to Digital Bridge as they compete in the market. Currently, DataBank operates six data centers in three markets (Dallas, Kansas City, and Minneapolis), giving them a presence primarily in the Central United States. 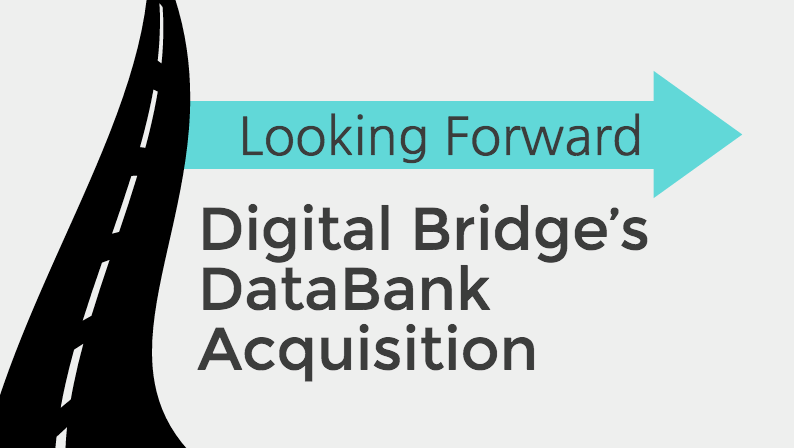 Digital Bridge’s acquisition and investment now gives DataBank the capital needed to expand into major markets on the East and West Coast. Digital Bridge’s chief executive Marc Ganzi stated the DataBank acquisition is the launching pad into the data center market and plans to invest in more facilities. Overall, the acquisition helps DataBank become a more competitive player in the market. Digital Bridge is able to branch into a new industry with a data center provider who has a history operating a number of facilities in active markets. DataBank now has access to increased capital, allowing expansion into a number of new markets and the ability to offer a broader variety of services.